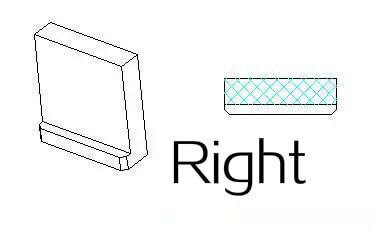 An insert is a term relative to the integrated core – when the mold core is made of a single piece of steel, it is called an integrated core, while an insert is a part that’s inserted into the mold core made primarily of the steel material. 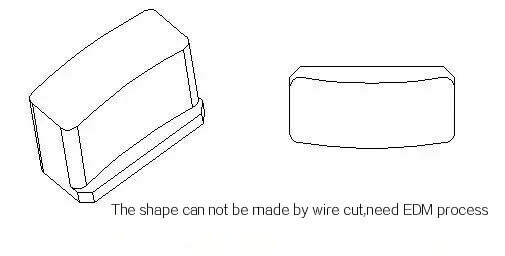 As a matter of fact, the biggest weakness of an insert is that it weakens the rigidity of the mold as a whole. However, the application of different insert materials is able to independently enhance the rigidity of the weak parts. Material Saving. 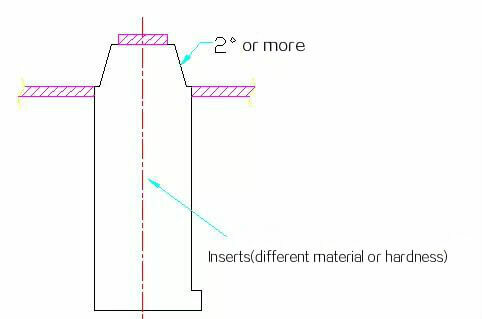 The dimensioning of a mold core is defined by its highest point. 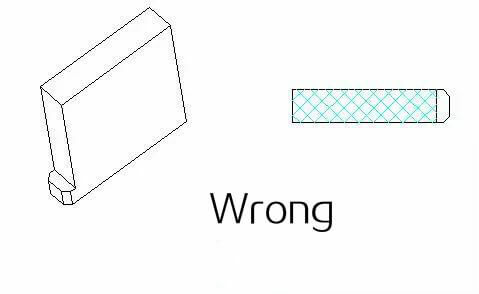 If there is only one single point rising up regularly, this part can be inserted, so as to make the core shorter during dimensioning. Easy Processing for mold making. During processing, EDM is the slowest equipment with the poorest precision. 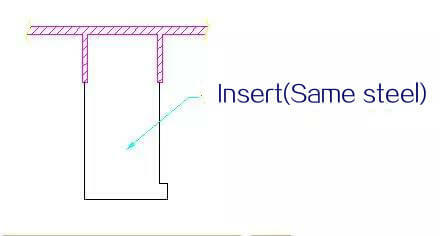 As a result, an insert is selected to avoid EDM processing. Facilitate Ventilation. 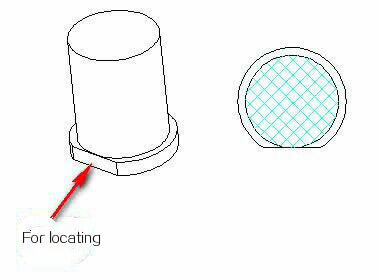 Inserts are usually needed for such circumstances as imperfect drainage during EDM processing and poor ventilation during molding, especially true for some deep ribs. Guarantee Precision. The grinding machine processes the highest level of processing precision. Sometimes, to guarantee precision, the application of inserts is subject to grinding machine processing requirements. Change Requirements. Sometimes, a customer may request to change the label of the same product, so interchangeable inserts are necessary under such circumstances. Convenient Polishing. It is rather inconvenient to polish the mold sometimes, especially for some deep parts. As a result, an insert is needed. Convenient Mold Modification. Some parts wear easily or have high precision requirements. Out of consideration for mold modification, an insert will be applied. Heat Radiation (cooling)Considerations. This mainly refers to beryllium copper inserts. With regard to processing efficiency, some large size molds are divided into several smaller inserts for separate processing to save time. Generally speaking, insects fall into 2 categories, i.e. through-hole insert and blind-end insert. Some small size inserts may adopt the Y-CUT approach to be fixed by the head, while the large size inserts, like those larger than 60*60, may adopt the form of the blind-end insert to be fixed by screws. 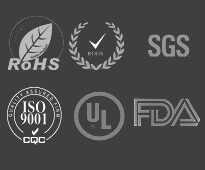 Though the processing is relatively difficult, mold rigidity is guaranteed. The material for inserts: The steel can be same as core or cavity if without shut off contact. The material can be same as core or cavity if with shut off contact as blow picture, but 2 degrees more in hardness or different hardness. 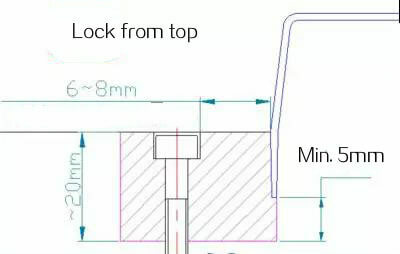 when we design the locating feet for inserts, we have to consider if the inserts are easy to make, in general, the feet can be designed to 5×2.0mm or 4x3mm. The feet need to be 0.5 -2.0mm shorter, better for making radius. if the inserts are not a regular shape, and not suitable for feet manufacture, we can consider making 1-2 degree draft angle around, then we can press them inside tightly.